I don’t know about you, but when I think of aardvarks, I think of “Arthur the aardvark,” since I used to watch the show as a kid. What do you think of when you hear the word aardvark? If you have someone in your life that loves this particular animal, that might be the first thing you think of. One of the best things you can do is get them a thoughtful, considerate gift for their birthday or other special day. Try any one of the following to show how much you appreciate them and their passion for aardvarks! After aardvark comes baboon… all the way to zebra. No matter which animal you’re looking to find, we have a gift guide! The aardvark at the computer will look great on their office wall, and inspire them to get their work done. 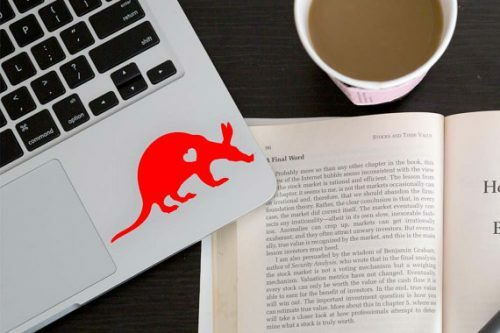 They can use this aardvark with heart decal to decorate their laptop, wall, or car, and to express their love of aardvarks all at the same time. “Sweet Potato” is an adorable aardvark that they can take anywhere they happen to go. 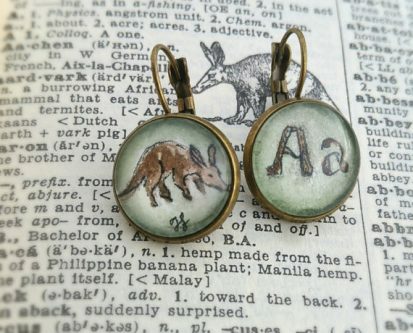 Aardvark earrings are the perfect accessory to their dress, or other outfit, as they go about their everyday life and special events. 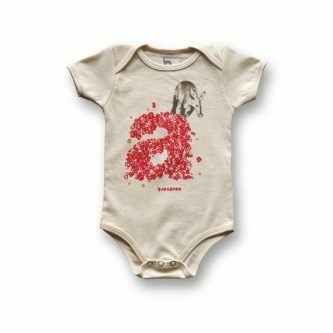 For a baby with a name starting with “A,” this personalized aardvark organic baby bodysuit will look adorable on them. Aardvarks are unique animals, and the person who loves aardvarks is certainly unique. Help them show that off with this shirt. They can symbolically shout from the rooftops how much they love aardvarks with a license plate frame that states just that. An art tile coaster with an aardvark cookout scene on it, can be used as a piece of art or a drink coaster, or both. 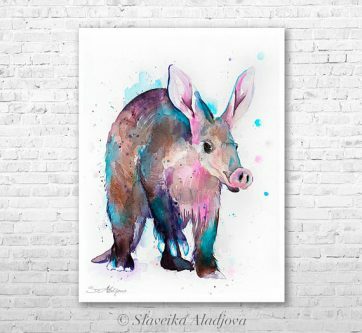 For their living room wall, the aardvark watercolor painting print will be the highlight of the room. 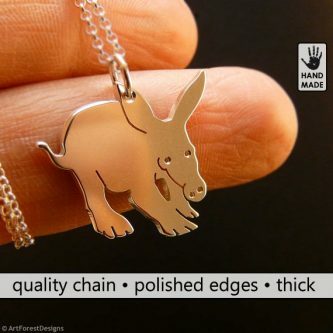 Almost every woman loves jewelry, and this handmade aardvark necklace will show just how much you care for them. The aardvark in a heart shirt will make their day and become one of their most favorite shirts. This street sign sticker will look good anywhere they choose to put it. One must always be themselves, unless they can be something as fun as an aardvark! People evolved into aardvarks, that’s pretty crazy, but certainly something funny for the back window of their car. Help them shout out to everyone that aardvarks are the best “people” ever, with this fun shirt! Help them keep their head warm with their favorite animal on a beanie! As I mentioned above, one of the first things I think of when I hear the word “aardvark,” is Arthur. This book would be the perfect gift for the kid in your life that loves aardvarks or is a huge fan of the show, and will also keep them reading. They, and everyone else, must admit that life would certainly be boring without aardvarks in the world. Help keep the sun out of their eyes and look stylish while doing so, with the aardvark silhouette baseball cap! 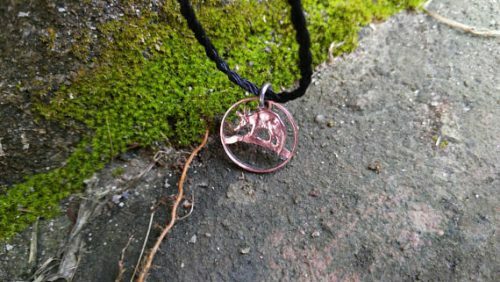 A creative and unique cut coin necklace with an aardvark will look real nice in their jewelry box. Aardvarks are pretty awesome creatures and here are so many gift ideas for that loved one who loves the animal more than anyone you know!